HOF NAME!!! 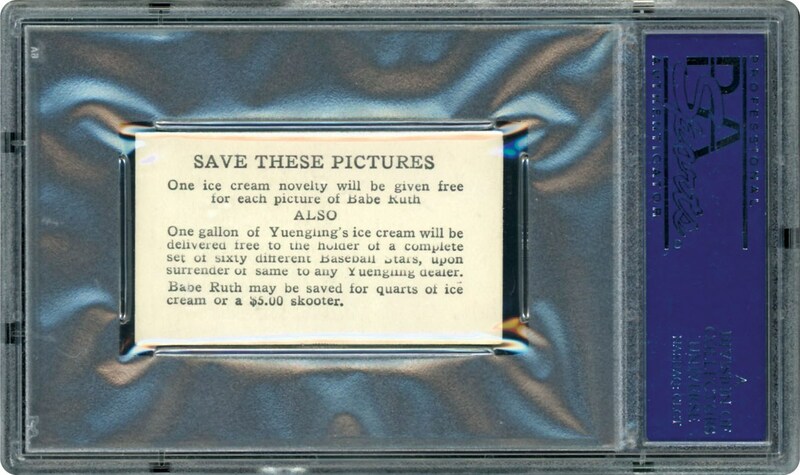 Issued in 1928, the Yuengling's Ice Cream cards consisted on 60 cards measuring 1-3/8' x 2-1/2". An action image on the front with advertising on the reverse, these are a very rare series. 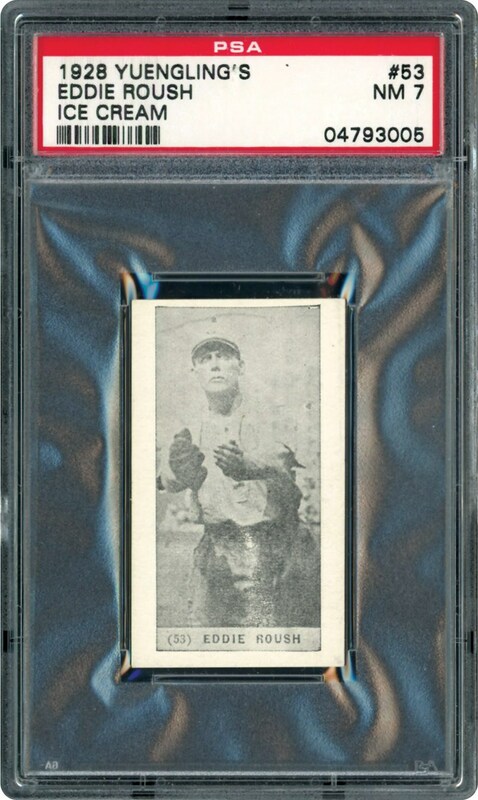 Offered here is card #53 Edd Roush in a stunning PSA 7 NM holder. Just 3 cards grading higher than this POP 4 card.